Today, we want you to help test our new features, including syncing passwords, animated themes, a fresh user interface and other fixes. 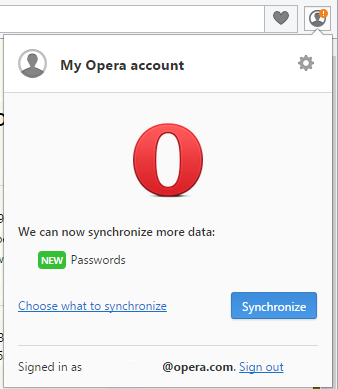 Your Opera account is getting more robust with every release. In O31, you can sync your typed history. In O32, we are planing to support password synchronization. This should simplify and speed up your browsing experience when you sign in to many services on many devices. If you already use the sync service, you should notice a message in the sync dialog. If you click Choose what to synchronize, you will be able to select Passwords (you can only sync passwords between version 32 browsers). For maximum security, set a master passphrase. 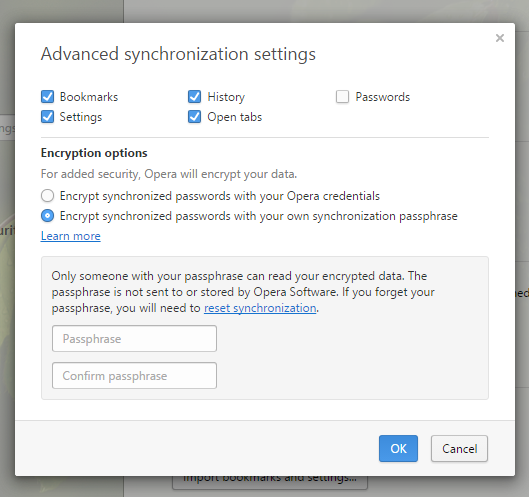 Opera credentials : Your passwords will be encrypted with your account password, and will only ever be decrypted on your own devices, never on Opera’s servers. Passphrase (master password) : When the explicit master password is used, only you know the master password and only this password allows decryption of your other passwords, they are impossible to decrypt without. Please make sure to use advanced master password for maximum security. If you’re curious, we use nigori protocol for password sync. Also You can read more about our enhanced man in the middle protection on our security blogpost. We are exploring animated background themes and with this release you can check out our initial implementation. Go and grab one here . We have yet to optimize CPU usage with this feature but feel welcome to share your experience. 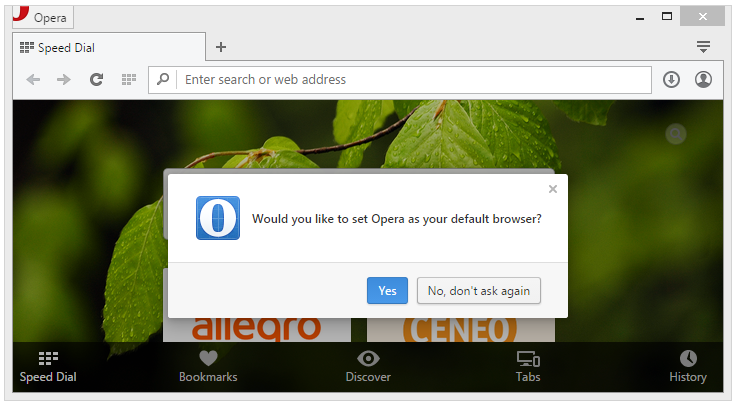 We’re tweaking and refining some user interface niceties in the upcoming versions of Opera. For example, we’re working on making dialogs a little more friendly and easy to understand. If you see anything you like (or don’t), let us know and we’ll check in on how to make it better. 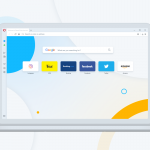 We’ve been working hard to make each version of Opera more native to the platform. And, with O32 your Mac looks a great deal more like the Yosemite style of your native apps. we are testing if our compression technology in new version is better suitable for your low-end network connections. 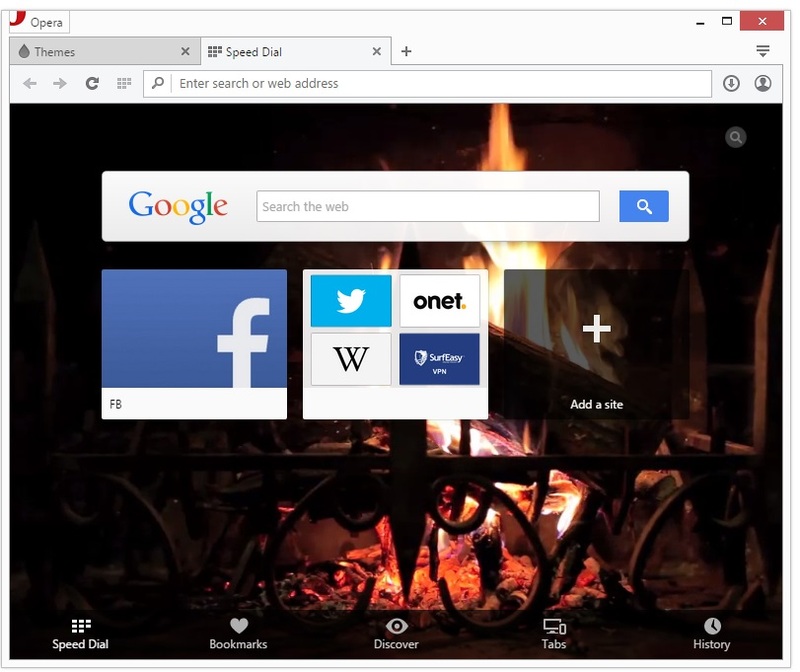 You can turn on “Opera Turbo” via Omenu. As usual, there are many bug fixes and many new bugs. 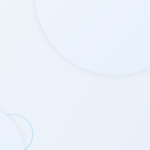 😉 We are working on making video support as smooth as possible. Please share your experience in that area. O menu bookmarks are fixed. 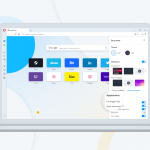 Soon, we should deliver more bookmarks manager changes. If you enable the #trees-in-bookmarks flag, you will notice bookmarks manager changes and bookmarks adding popup enhancements. More about this in the coming weeks!